Sidewalk chalk advertisements supporting Hillary Clinton’s campaign for the presidency were found defaced on Wednesday across campus. With the Mock Presidential Election (MPE) happening, the number of advertisements across campus for various candidates has subsequently increased. Some campaigns however have found their advertisements tarnished by opponents. In response to the vandalism towards the Hillary Clinton advertisement, Richard Hardy, dean of the Centennial Honors College and organizer of the MPE said that he does not condone the action. 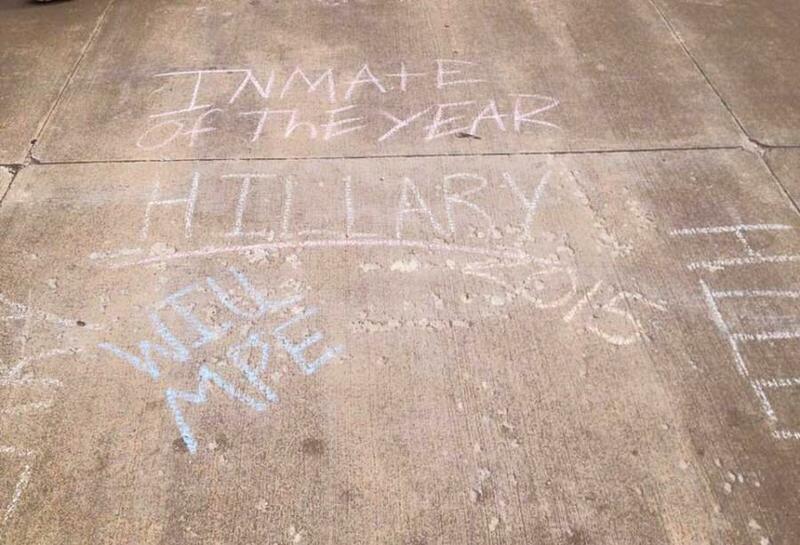 Dovile Svirupskaite, campaign manager for the Hillary Clinton MPE campaign, said that she is also unsure about who has defaced their chalk advertisements. A number of the chalk advertisements that were vandalized had Republican presidential candidate Donald Trump’s name written over them. Josh Webb, co-campaign manager for the Donald Trump MPE campaign, said that his team is not responsible. In addition to the vandalism against the chalkings, a number of campaigns have expressed that their posters have been torn off of the walls in the academic building. Svirupskaite expressed that she is disappointed that vandalism is occurring across campus. Webb said that he believes the people who defaced the Hillary Clinton chalk advertisements are most likely not doing it because they want to contribute to the MPE. Hardy said that he wishes that the students use their best judgment in regards to making political advertisements on campus.